A pilot study comparing T-regulatory cell function among healthy children in different areas of Gansu, China. Environ Sci Pollut Res Int. 2017 Oct;24(28):22579-22586. Gou P, Chang X, Ye Z, Yao Y, Nguyen PK, Hammond SK, Wang J, Liu S.
Exposure to NO2, CO, and PM2.5 is linked to regional DNA methylation differences in asthma. Clin Epigenetics. 2018 Jan 5;10:2. Prunicki M, Stell L, Dinakarpandian D, de Planell-Saguer M, Lucas RW, Hammond SK, Balmes JR, Zhou X, Paglino T, Sabatti C, Miller RL, Nadeau KC. J Asthma. 2017 Dec 20:1-9. Alcala E, Cisneros R, Capitman J.
Traffic-Related Air Pollution and Telomere Length in Children and Adolescents Living in Fresno, CA: A pilot study. J Occup Environ Med. 2017 May;59(5):446-452. Lee EY, Lin J, Noth EM, Hammond SK, Nadeau KC, Eisen EA, Balmes JR.
Air pollution, neighborhood acculturation factors, and neural tube defects among Hispanic women in California. Birth Defects Res. 2017 Apr 3;109(6):403-422. Padula AM, Yang W, Carmichael SL, Lurmann F, Balmes J, Hammond SK, Shaw GM. Air Quality Atmosphere and Health. 2016 Apr;9(8): 899-908. Noth, E.M., Lurmann, F., Northcross, A., Perrino, C., Vaughn, D., Hammond, S.K. Pollution, poverty, and potentially preventable childhood morbidity in Central California. Mortimer KM, Neugebauer R, Lurmann FW, Alcorn S, Balmes J, Tager IB. Air Pollution, Neighborhood Socioeconomic Factors, and Neural Tube Defects in the San Joaquin Valley of California. Padula AM, Yang W, Carmichael SL, Tager IB, Lurmann F, Hammond SK, Shaw GM. Ambient polycyclic aromatic hydrocarbons and pulmonary function in children. J Expo Sci Environ Epidemiol. 2015 May;25(3):295-302. doi: 10.1038/jes.2014.42. Epub 2014 Jun 18. Padula AM, Balmes JR, EIsen EA, Mann J, Noth EM, Lurmann FW, Pratt B, Tager IB, Nadeau K, Hammond SK. Clin Exp Allergy. 2015 Jan;45(1):238-48. doi: 10.1111/cea.12377. Hew KM, Walker AL, Kohli A, Garcia M, Syed A, McDonald-Hyman C, Noth EM, Mann JK, Pratt B, Balmes J, Hammond SK, Eisen EA, Nadeau KC. Exposure to airborne polycyclic aromatic hydrocarbons during pregnancy and risk of preterm birth. Environ Res. 2014 Nov;135:221-6. doi: 10.1016/j.envres.2014.09.014. Epub 2014 Oct 2. Padula AM, Noth EM, Hammond SK, Lurmann FW, Yang W, Tager IB,Shaw GM. Traffic-related air pollution and selected birth defects in the San Joaquin Valley of California. Birth Defects Res A Clin Mol Teratol. 2013 Nov;97(11):730-5. doi: 10.1002/bdra.23175. Epub 2013 Sep 23. Padula AM1, Tager IB, Carmichael SL, Hammond SK, Yang W, Lurmann FW, Shaw GM. Mapping and modeling airborne urban phenanthrene distribution using vegetation biomonitoring. The Association of Ambient Air Pollution and Traffic Exposures With Selected Congenital Anomalies in the San Joaquin Valley of California. Exposure to traffic-related air pollution during pregnancy and term low birthweight: estimation of causal associations in a semiparametric model. Padula AM, Mortimer K, Hubbard A, Lurmann F, Jerrett M, Tager IB. Epigenetically-mediated pathogenic effects of phenanthrene on regulatory T cells. Secondhand smoke in combination with ambient air pollution exposure is associated with increased CpG methylation and decreased expression of IFN-γ in T effector cells and Foxp3 in T regulatory cells in children. Clin Epigenetics. 2012 Sep 25;4(1):17. doi: 10.1186/1868-7083-4-17. Kohli A1, Garcia MA, Miller RL, Maher C, Humblet O, Hammond SK, Nadeau K.
Polycyclic aromatic hydrocarbon exposure and wheeze in a cohort of children with asthma in Fresno, CA. J Expo Sci Environ Epidemiol. 2012 Jul;22(4):386-92. doi: 10.1038/jes.2012.29. Epub 2012 May 2. Gale SL1, Noth EM, Mann J, Balmes J, Hammond SK, Tager IB. A spatial-temporal regression model to predict daily outdoor residential PAH concentrations in an epidemiologic study in Fresno, CA. Noth EM, Hammond SK, Biging GS, Tager IB. Ambient air pollution impairs regulatory T-cell function in asthma. Nadeau K, McDonald-Hyman C, Noth EM, Pratt B, Hammond SK, Balmes J, Tager I. 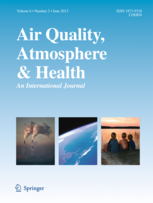 Short-term effects of air pollution on wheeze in asthmatic children in Fresno, California. Environ Health Perspect. 2010 Oct;118(10):1497-502. Epub 2010 Jun 22. Mann JK, Balmes JR, Bruckner TA, Mortimer KM, Margolis HG, Pratt B, Hammond SK, Lurmann FW, Tager IB. Temporal and spatial patterns of ambient endotoxin concentrations in Fresno, California. Environ Health Perspect. 2010 Oct;118(10):1490-6. Epub 2010 May 21. Tager IB, Lurmann FW, Haight T, Alcorn S, Penfold B, Hammond SK. Margolis HG, Mann JK, Lurmann FW, Mortimer KM, Balmes JR, Hammond SK, Tager IB. Epidemiology. 2008 Jul;19(4):550-7; discussion 561-2. 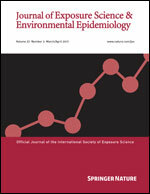 Early-lifetime exposure to air pollution and allergic sensitization in children with asthma. Mortimer K, Neugebauer R, Lurmann F, Alcorn S, Balmes J, Tager IB. An application of model-fitting procedures for marginal structural models. Am J Epidemiol. 2005 Aug 15;162(4):382-8. Epub 2005 Jul 13. Mortimer KM, Neugebauer R, van der Laan M, Tager IB.